In 1998 Hydra increased its molding capacities by 50 percent, from 172,800 panels per year to 259,200. Our liner production capability has also increased and now stands at 150 per day. Hydra is well positioned to serve the industry with quality products and timely delivery. Hydra, in 1989, purchased the rights to the Aqua Genie Pool Maintenance system. This system dramatically reduces the time and effort needed to maintain a pool properly. And it follows Hydra's approach to providing totally engineered pool systems. In 1996, Hydra went on to purchase a line of steps that gives us the exclusive Cozy Corner step. Sold under the Sweetwater name, these steps add unique beauty to any pool. Hydra strives to complement its high-quality products with equally high standards of customer service and field support. 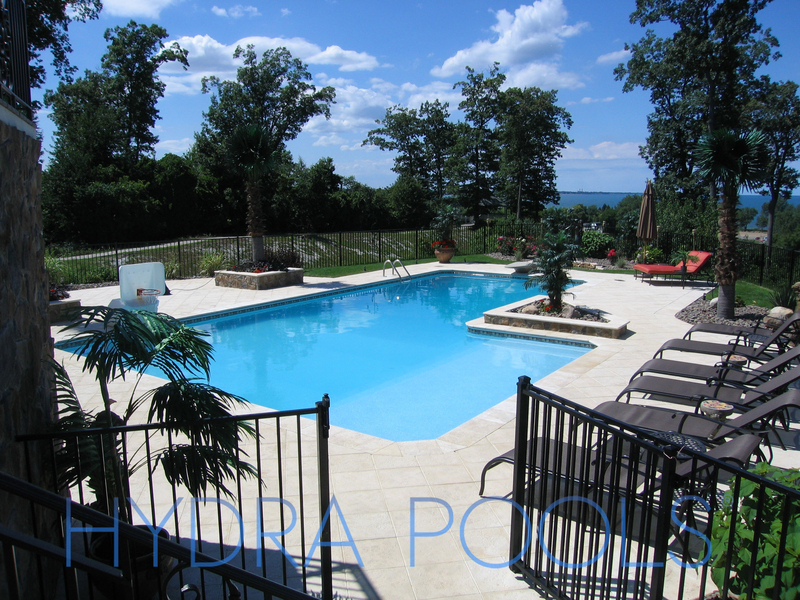 Hydra Pools is deeply committed to the pool industry, providing quality products and unsurpassed customer service. If you would like more information about Hydra Pools, please feel free to contact us by clicking here.